DWN Winter Faculty Forum with Prof. Alyssa Westring, Ph.D. Associate Professor Alyssa F. Westring, Ph.D. This session is designed to help participants develop strategies for success both in and outside of work. Many employees believe that career success can only be achieved by sacrificing personal wellness and non-work relationships. In this session, participants will learn to rethink this “trade-off” mentality and how to define career success on their own terms. Participants will explore and practice strategies for thriving in all areas of their lives. 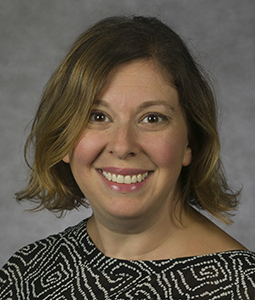 Alyssa F. Westring, Ph.D., is an Organizational Psychologist and Associate Professor of Management at DePaul University. She teaches in both the MBA and undergraduate programs and received DePaul’s 2017 Excellence in Teaching Award. Her research, coaching, and consulting are focused on gender equity and work-life balance. She regularly writes and speaks to a wide variety of academic and professional audiences about creating organizational cultures conducive to women’s careers and work-life balance, combining cutting-edge research with a practical approach to initiating change. She is also Director of Research at Total Leadership. This free event is open only to members of the DePaul University community, including faculty, staff and students. A DePaul ID may be required for entry. A light lunch will be served, so please RSVP in advance. Have questions about this event? Email Gwen Knorr at g.bailey.knorr@depaul.edu.